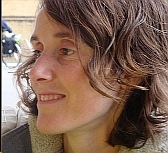 Susan Pinette is an Associate Professor of Modern Languages and Literatures and Director of Franco American Programs at the University of Maine. She received her doctorate in French at the University of California, Irvine. Her research examines contemporary Franco American literature, where she shows its significance to the broader arenas of North American Francophone communities and American studies. She has published on Lahontan, Diderot, and Kerouac and is currently working on a book-lenght manuscript on Franco American fiction. In her work as Director, she has developed various curricula for Franco American Studies, received state and federal funding grants, and has served as a liaison between the academic community and the public.